What mad fool decided to do natural phenomena for her A to Z Challenge theme this year and still keep her Friday Flash Fiction theme? Oh, that would be me. Orogeny is the process of mountain building and has nothing to do with erogenous zones! Most mountain ranges are formed by the collision of two or more tectonic plates, the vast surfaces which move over the crust of the earth, also causing earthquakes and volcanic eruptions. The Andes and Rockies are formed by the Pacific plate forcing itself underneath the continental crust and making the continent shift upwards, crumpling and folding on a massive scale. The Himalaya is formed by the movement of the Indian plate, once part of Gondwana, smashing against the Eurasian plate and moving underneath it to make it a plateau (diagram from sites.google.com but unknown original source). The Alps are the result of the movement north of the African continental crust, and the Mediterranean Sea a product of the squashing and folding as well. How on earth to make a short story out of that? Ah! My asteroid miners Pete and the Swede to the rescue. This might not be suitable for younger readers. Maggie glanced in at the miners, Lars and Pete. They said they’d be doing a planet survey, not larking about. She continued preparing something edible from the space rations. It was her first time on one of their general planet scouting trips, and she took her responsibility for the group’s cuisine seriously. Bawdy laughter erupted from Lars, while Pete protested that it wasn’t that funny. Boys, Maggie thought, shaking her head. These guys were her best clients, but they still had one-track minds. “So these orogenous zones – how sensitive are they?” Lars didn’t mind the whole ship hearing him. “You have to be a bit careful. A little pressure can have a huge reaction.” Pete was quieter, as usual. The pair of them could have the decency to keep their man talk down now we girls are on board, Maggie thought. “Treat it with great respect,” Pete said firmly. Maggie banged the bowls down on the counter. They could stop this talk right now. It was okay in the bedroom, but not when they were supposed to be working. She threw their portions of the meal into the bowls and stomped through to the control room, grateful for the full gravity they kept on board. She shoved the bowls onto the console in front of each of them. “Thanks, Maggie,” said Pete, reaching to give her waist a squeeze. She skipped out of his way. Pete looked blank, and turned to look at Lars. Lars looked at Maggie and burst into laughter. Pete’s face changed and he too rocked with glee. Maggie’s righteous heat turned to a pink flush that burned her cheeks and ran all the way down her neck. Well done! These guys can handle anything! I had the idea weeks ago… doing it was much more difficult! You pulled it off. I linked to it from my comments on my own O post, since it’s so relevant! (I should put it in the comments on N, where it would be even more relevant!). You incorporated the word wonderfully. Awesome job. 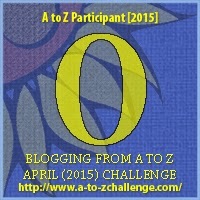 You are on my list to check if you are being part of the A to Z Challenge. Thoughts with the people there. Hi Jemima .. Orogeny: another word I’ve learnt recently .. fascinating to see at the moment with the Nepal earthquakes – devastating … and such difficult terrain to be aiding with all relief effort ..